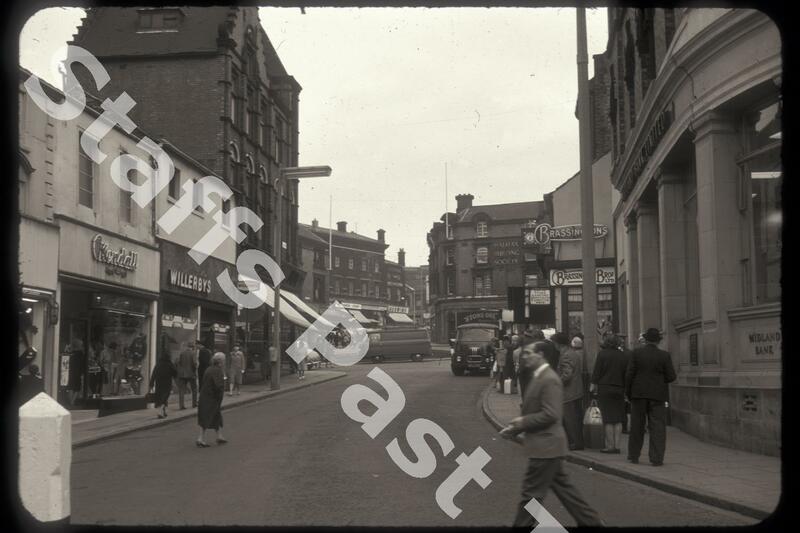 Description:This was the view north from Stafford Street into Fountain Square with Market Square visible beyond. Now pedestrianised, there is no longer a roundabout in the square. 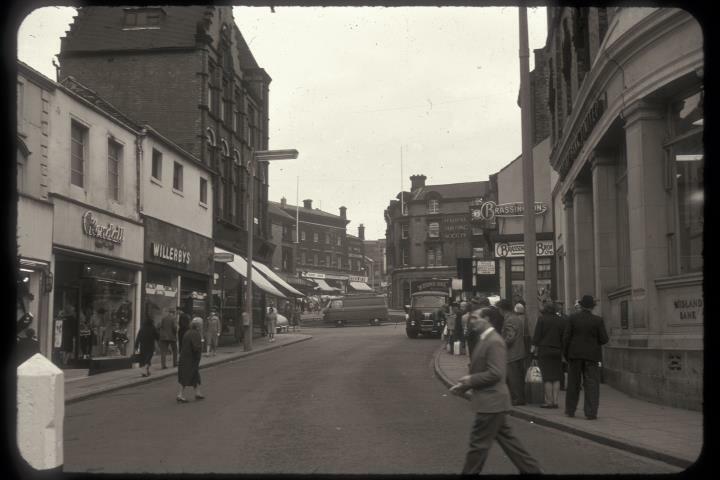 The shops on the left (Willerbys mens tailors, Kendalls umbrellas and rainwear etc) were on Moxon's Island and were demolished and rebuilt after this photograph was taken. The tall building was Batchelor's ladies fashions. On the right, the Midland Bank has changed owners but is still a bank. Brassington Brothers shoe shop was founded here in 1901. Fountain Square had several banks and building societies, here the Halifax building dominates the square, with the Lloyds Bank building hidden to the right. In the distance on the left are the shops on Market Square.